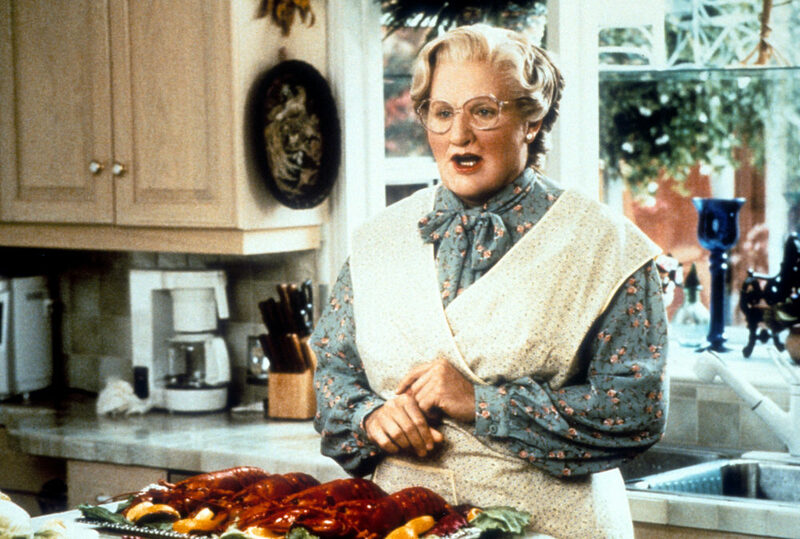 We can’t believe it’s been 25 years since the great Mrs. Doubtfire lit up movie screens. To celebrate the film and its beloved star, Robin Williams, the Mrs. Doubtfire cast reunited for the first time since they shot the movie. Matthew Lawrence, Mara Wilson, and Lisa Jakub—who played the Hillard children—met up with cast mate Pierce Brosnan on The Today Show to reminisce about the film and their fearless leader, Williams. Jakub called the reunion “surreal” and “a bit of a time warp,” but added that “there is a sense that no time has passed.” The four actors seemed to fall back into a rhythm, and it honestly seemed like they’d stayed in touch all these years. Though they waxed poetic about the enduring strength of the iconic family film, all anyone wanted to do was remember their friend Williams. Lawrence called Williams “a guiding force” and said he gave him talks about not doing drugs. Jakub echoed that sentiment saying Williams was that rare adult who was open and honest with her. The cast also celebrated Williams’ talent and easy knack for comedy. “We did a lot of takes,” Wilson said. “It’d be like take 25, and Robin would be different every time.” Brosnan also shared a story of how he would go into Williams’ trailer to find him in a Hawaiian print shirt, cargo shorts, hairy arms, and full Mrs. Doubtfire face, spouting off Doubtfire-isms in character. You can watch the entire interview on Today.com. The post The <em>Mrs. Doubtfire</em> cast reunited for the first time in 25 years, and their Robin Williams stories will make your heart full appeared first on HelloGiggles.